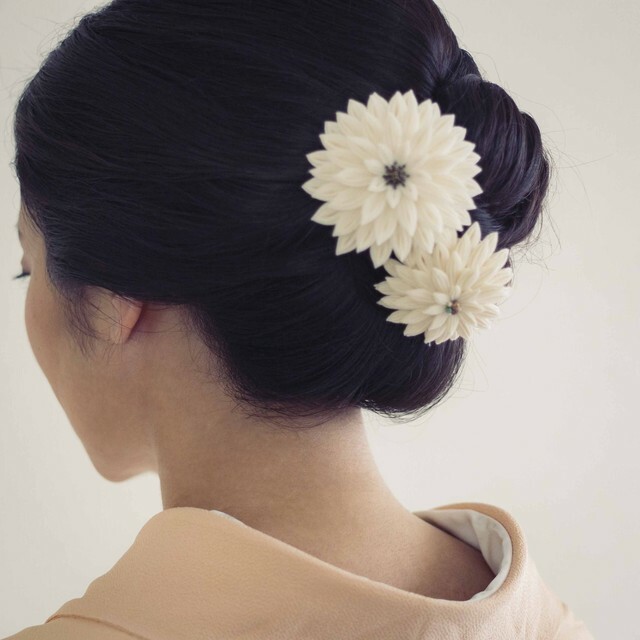 This large flower is the most gorgeous and has the most petals of the Tsumami-zaiku world. 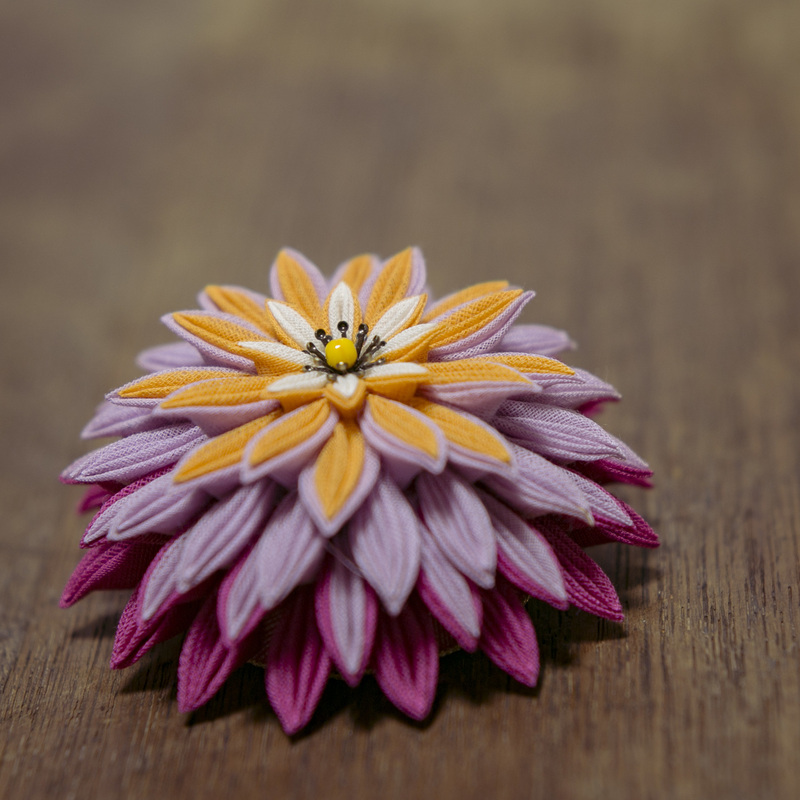 Dahlia symbolizes splendor, grace, elegance, dignity, and more. 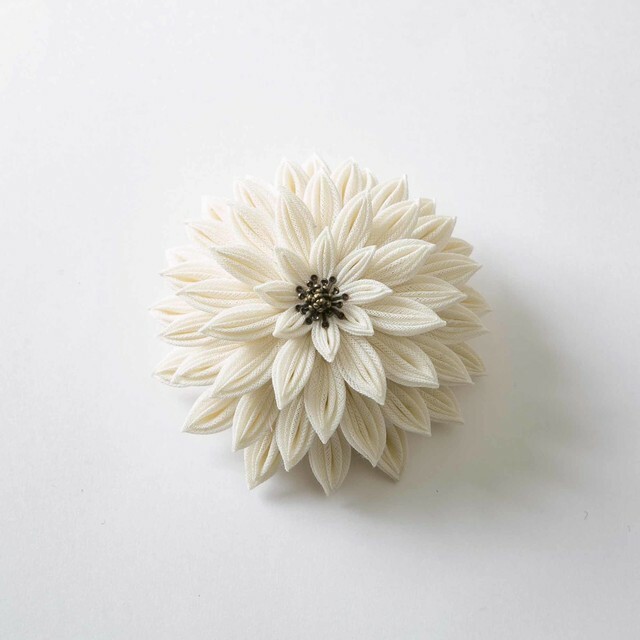 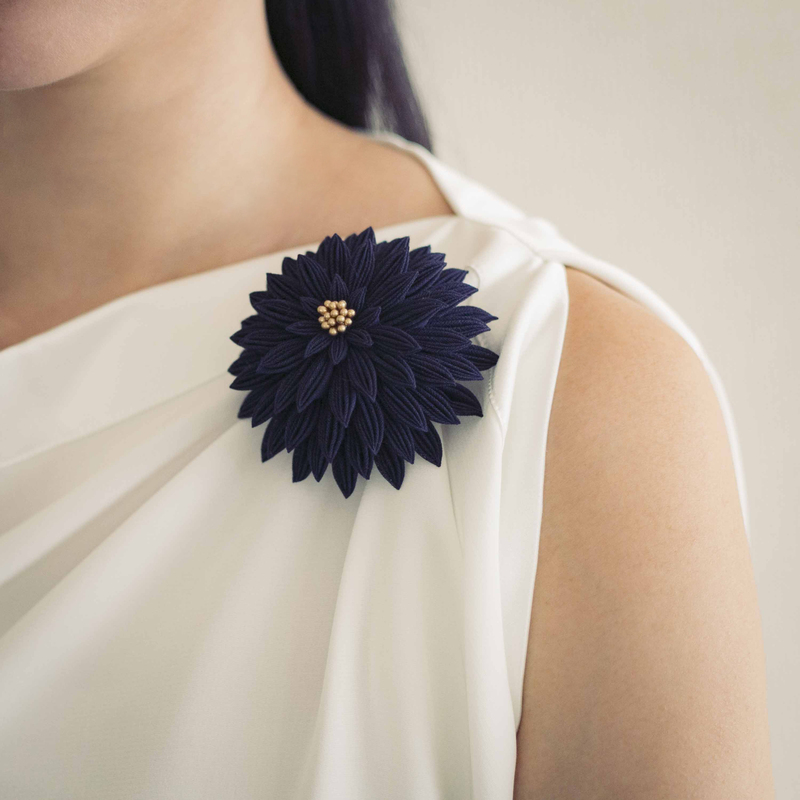 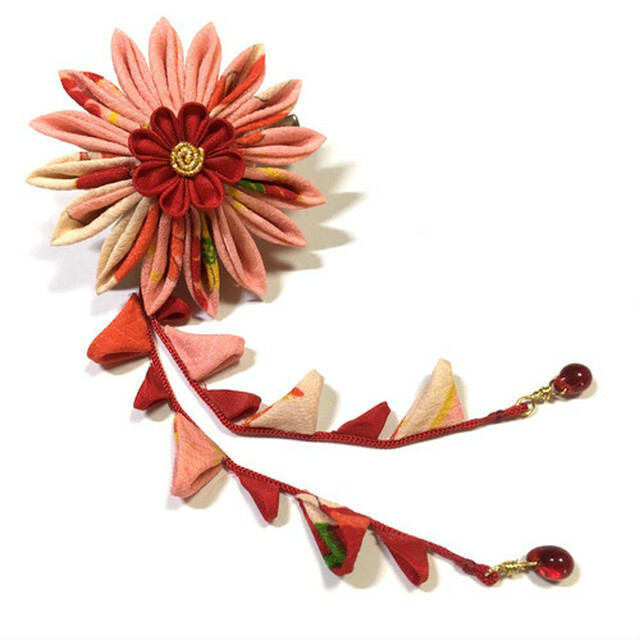 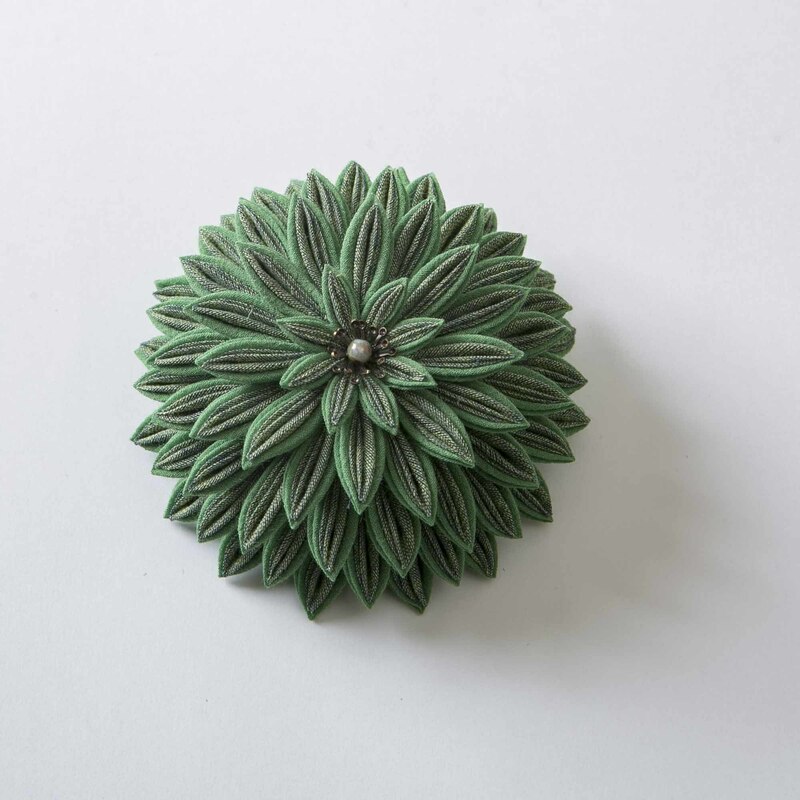 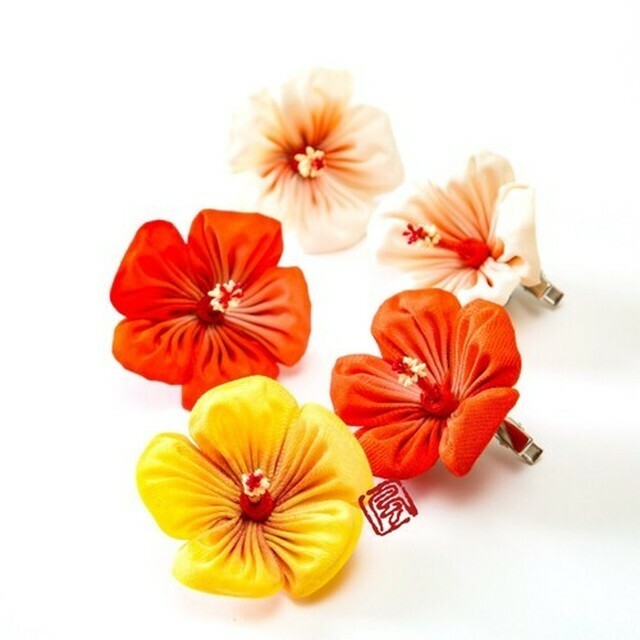 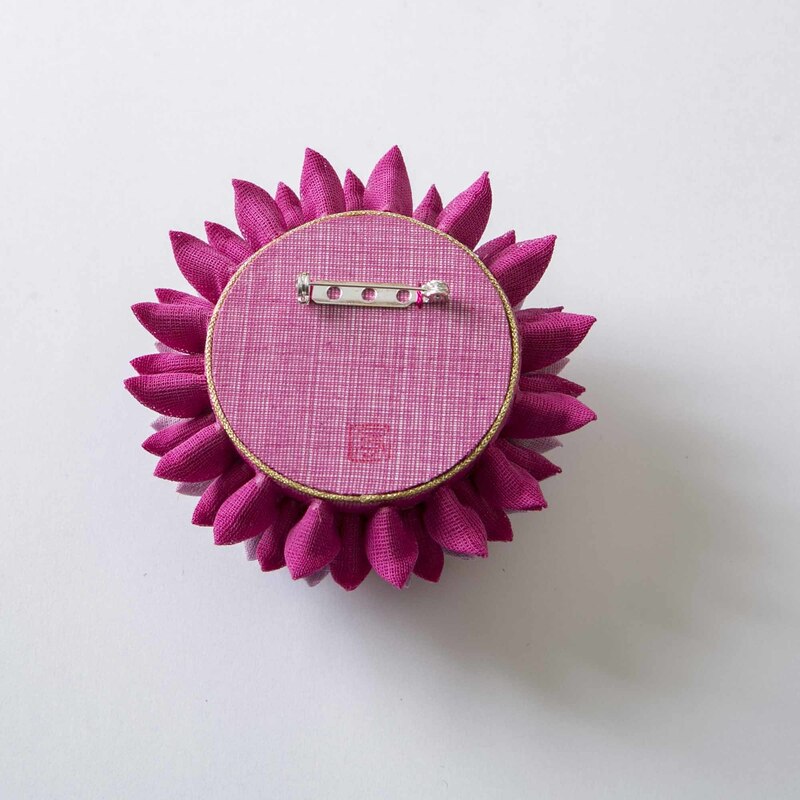 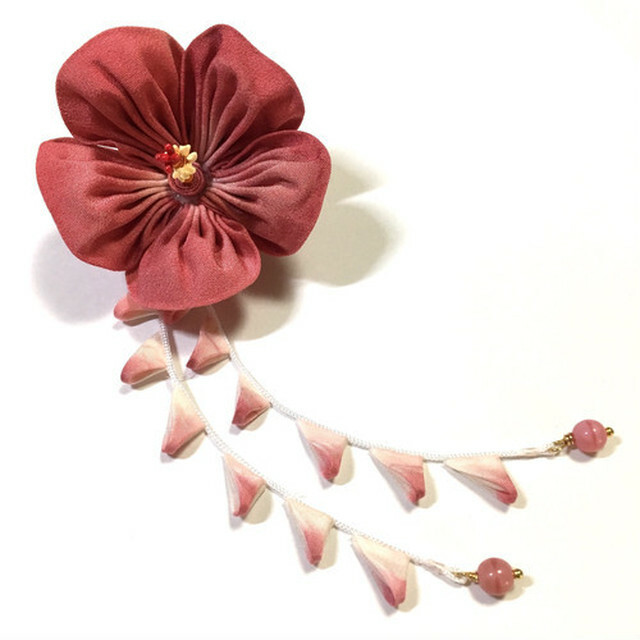 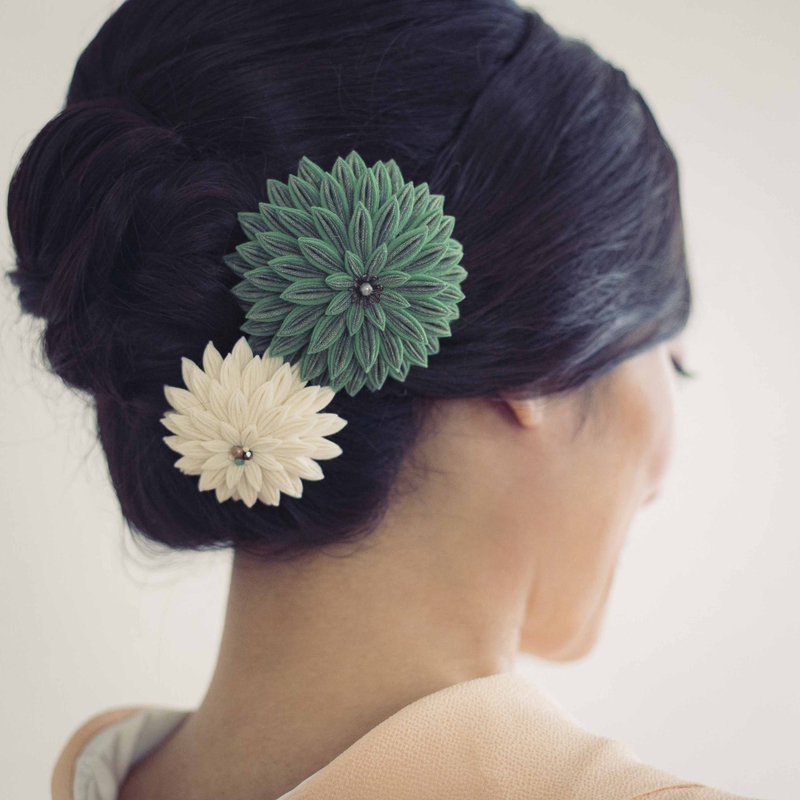 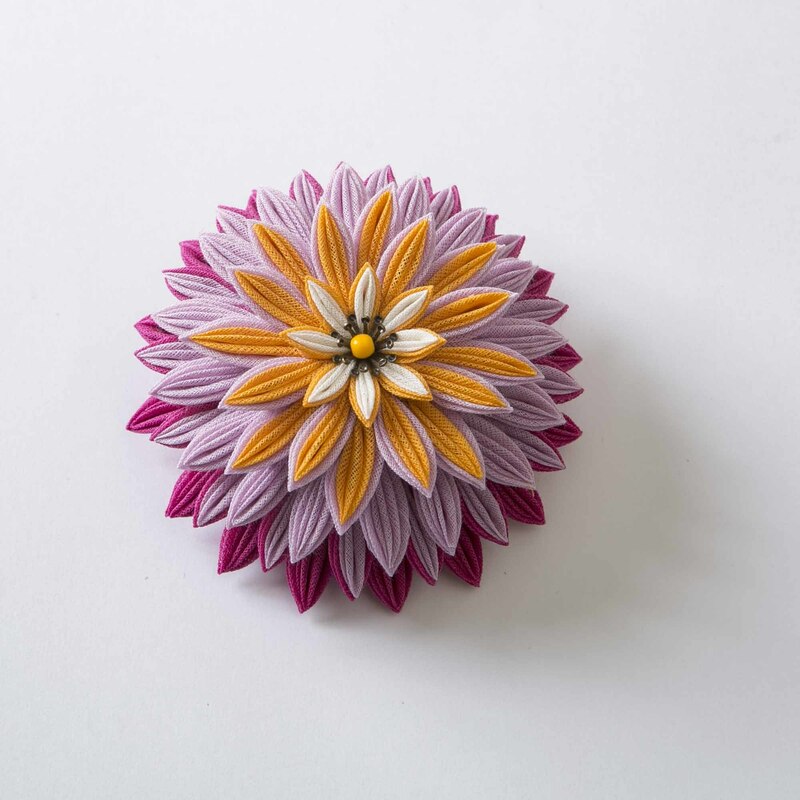 You can wear this broach like a corsage anytime during the year.